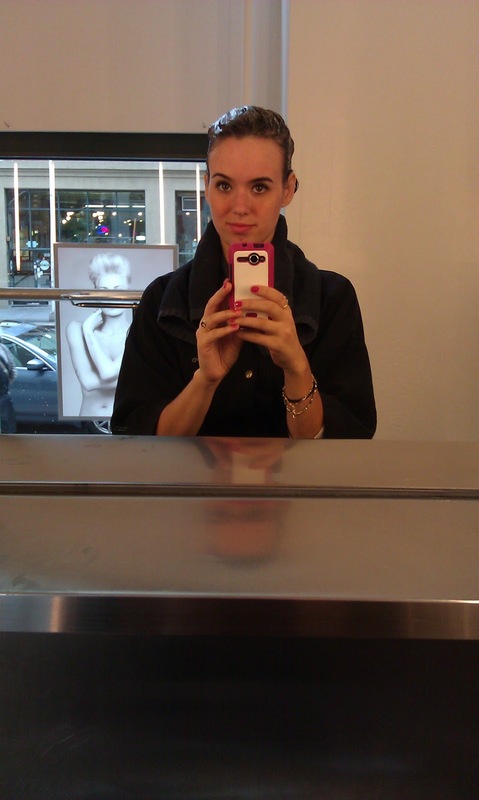 Here's the thing with ARROJO Studio once you go there there's no going back to any other hair place. This past Sunday I was invited to go to their studio to enjoy a day of beauty for their Sunday Grand Opening (yes now they are open 7 days a week....their stylist don't sleep) and I got to take a guest with me. Of course, I had to take my mom because she deserves a day to herself especially after the summer she had putting up with my dad being out of work and being in out of the hospital due to his hip. She always puts my father and I first so she totally deserved to treat herself to some pampering. To bad I was a bit hungover (that's what I get for hanging out with all boys) and my mom had a slight cold so we couldn't dive into their brunch. It however did smell yummy, but we did take advantage of their beverages (I on the other hand opt for the fresh squeezed OJ while my mom had the Bellini...damn me). Anyway since I got to take advantage of ARROJO's services in August and I'm still attempting to grow my hair out I didn't go all in for full service treatment but I did get their clear conditioning treatment and a blow out. Shiny hair! And a better blow out that I can ever do thanks to the lovely Inva! 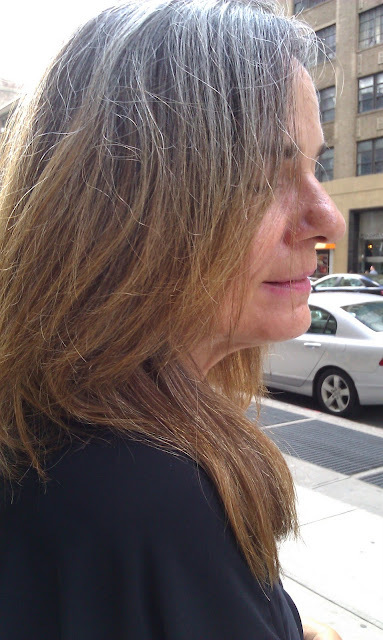 But my mom on the other hand....got to enjoy ARROJO to the fullest..cut and color! My mother had extremely long beautiful hair that got WAY to out of control for her own good. Both my dad and I have been telling her to cut it for a long time and as soon as I got the email about this event I knew I was getting her to go one way or another. I'm really happy she came...and she was so brave. She got about 10 inches off, just enough to donate to locks of love! Caroline did a great job cutting her hair and styling it! She's a super sweetheart from Santa Cruz who is def. becoming a true New Yorker and is fantastic at what she does. I couldn't believe how great my mom looked even just after just getting the cut and before hitting the color. 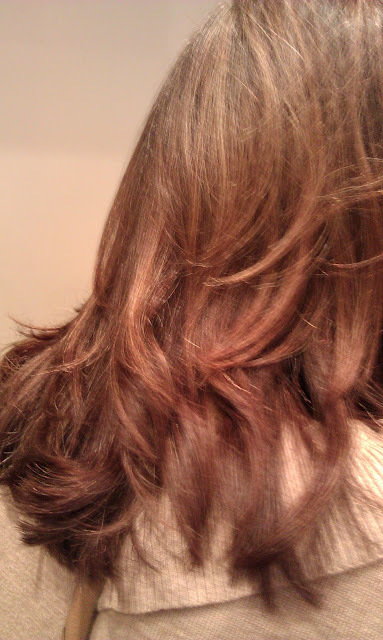 The coloring was done by Rudy, who is a super cool dude who is a master stylist at ARROJO. He really brought back the life into my mom's hair. She's always had darker dirty blond hair and he really gave her a natural looking color. A little darker then what she is use to but definitely perfect for the winter. PS my mom hates having her picture taken....she was ready to KILL me by the end of the day! I still can't get over the way my mom looks. She's so beautiful and fun (and sometimes a little crazy but what moms aren't?) and I'm glad that she got to experience this with me. She's already saying that she's coming back with me to get the demi-permant coloring that we got invited to go to next month! I told you once you go to ARROJO there is no going anywhere else! Mama looks great!!! So does your hair too ;).